The list of reasons to love lemon balm is practically endless. In fact, it was once even named “Herb of the Year” by the International Herb Association. No wonder, because this plant, also known as Melissa (technically Melissa officinalis) is capable of just about anything and everything. Lemon balm is a medicinal plant native to the East Mediterranean region and West Asia. It’s been used since ancient times for its many therapeutic properties and contains antibacterial, antiviral, antispasmodic and antidepressant compounds. A member of the mint family, it’s considered a calming herb – in fact, in the Middle Ages, it was often used for promoting better sleep, relieving pain from indigestion, improving appetite and reducing stress and anxiety. Even before that period, it was utilized by steeping it in wine to lift one’s mood, help heal wounds quicker and treat insect stings and bites. The plant grows up to two feet high, and sometimes a bit higher if not maintained. In the spring and summer, clusters of small, light yellow flowers appear where the leaves meet the stem. If you rub the leaves, which look like mint leaves and range from yellowish green to dark green in color, your fingers will smell sweet and tart like lemons. If that’s not enough to inspire you to grow it, these 12 reasons are sure to do the trick. As mentioned, lemon balm has been used for centuries for stress relief – stress isn’t just a modern-day concern. Research has focused on lemon balm and stress has noted impressive results. For example, in one study out of Brazil, the experts gave low doses of lemon balm extract to mice and found that their anxiety-related behaviors were decreased, even when they were placed in an unfamiliar environment. To reap the stress and anxiety reducing benefits of this wondrous plant, simply finely chop its leaves and then boil them in water. After several minutes, you can strain the liquid, allow it to cool a bit, and then slowly sip. Another option is to use the leaves. By rubbing them on your skin, the oil will be extracted and seeped into the bloodstream, causing a relaxing effect. The same study referenced above found even more dramatic results when using lemon balm extracts to induce sleep in mice. The University of Maryland Medical Center also reports that in a study of people who were experiencing minor sleep problems, 81 percent of those who took a concoction of valerian and lemon balm reported sleeping much better than those who took a placebo. In Germany, lemon balm is licensed as a standard medicinal tea for treating sleep disorders. Researchers there have determined that the consumption of products with lemon balm can be useful in getting more restful sleep. The experts say that it produces peaceful and deep sleep among those who consume it daily. They’ve also noted that women in menopause who suffer from sleep disruption have reported significantly better sleep after consuming lemon balm. The recommendation is to consume it 30 to 60 minutes before bedtime to reap optimal effects. Lemon balm is also a natural bug repellent and makes a great DEET-free alternative to those typical chemical-filled, toxic sprays. Researchers have found that repellents that contain DEET may disrupt the hormone dopamine which is important for healthy brain functioning, interfere with proper nerve signals and trigger chemical mechanisms that are linked to nerve degeneration and neurological disorders. Yikes! 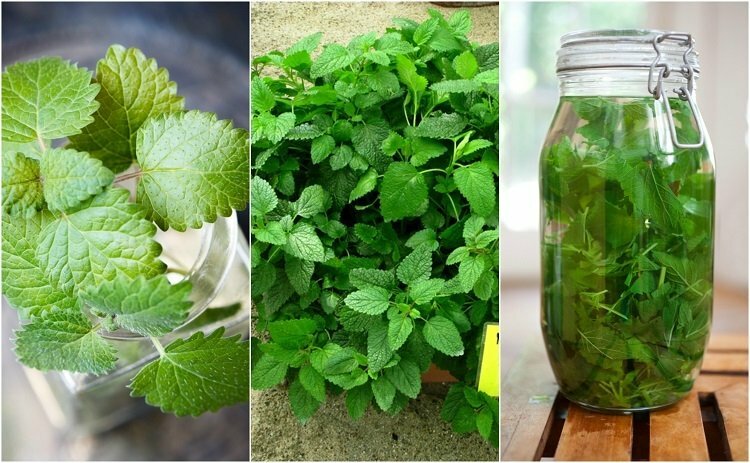 Plus, lemon balm plants are much cheaper to grow and will give you a practically endless supply of bug repellent you can turn to in your very own yard. The herb contains high levels of a compound called citronellal, which gives it its lemony aroma and flavor which insects find so unpleasant. It’s been traditionally used by many gardeners for centuries, who would rub the leaves of the plant onto their skin to keep mosquitoes from feasting on them as they despite the chemical makeup of lemon balm. You can do the same, once you have your own plants. 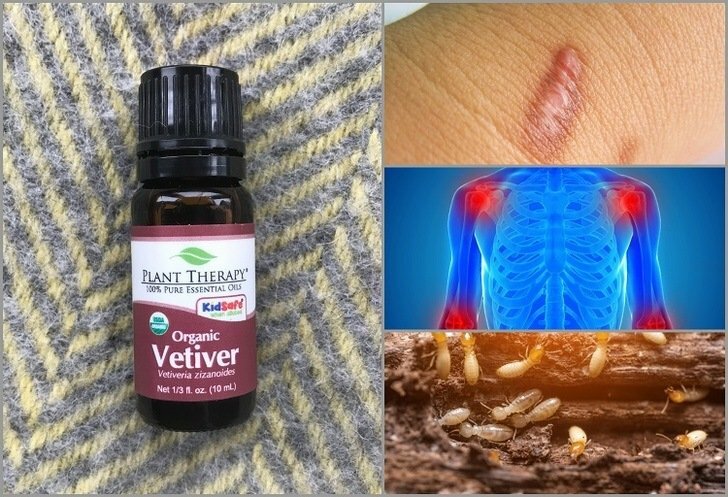 Just crush the fresh leaves and rub them directly on your skin, especially around the ankles, arms and other areas most exposed and vulnerable to bug bites. You can also combine it with olive oil to make it easier to spread. It’s safe to use on children too. While it may seem odd that a plant that can induce calm, relieve stress and promote better sleep could improve alertness, but it’s true. The natural compounds in the leaves are said to boost alertness and energy and can be especially beneficial when one needs to concentrate for a big exam or work project. An Australian study conducted in 2014 discovered that the herb improved alertness in participants who supplemented with the herb, in addition to experiencing a better mood. Research has also observed improved problem-solving and memory in those who consume lemon balm. No matter what their age, subjects have shown improvements in both recall and problem-solving skills. Just one study included a series of experiments out of Northumbria University, which suggested that it deserves its outstanding reputation. Researcher Dr. David Kennedy found that young, healthy adults who took capsules that contained the dried leaves of the lemon balm plant performed significantly better at standardized computer memory tests than those who took a placebo. Lemon balm’s positive effects on memory may be due to its powerful antioxidant known as eugenol, along with the herb’s ability to suppress a brain chemical known as acetylcholinesterase which breaks down the brain-signaling chemical acetylcholine that’s responsible for memory and thought. That action helps stimulate and support memory and mood. Because lemon balm offers antiviral properties, it can even be used to heal cold sores. It actually contains a host of antiviral constituents, like rosmarinic acid, flavonoids, and phenolic acid. This herb can also be used to reduce symptoms of stress related to a herpes outbreak. In her book Prescription for Herbal Healing, certified nutritional consultant Phyllis Balch notes that lemon balm “reduces the time needed to heal cold sores by roughly half. “Several studies have shown that using a lemon balm cream can bring positive results and even treat an infection. To take advantage of its medicinal properties, make a lemon balm tea using the dried leaves. It has a wonderful flavor that’s both minty and lemony. Allow it to steep for 10 minutes for maximum results before drinking. You can also apply some of the tea directly to a cold sore using a cotton ball. Drink a cup, apply it, or both, several times each day. As the liver is responsible for clearing toxins from the body, keeping it healthy is a great way to achieve optimal health. Over time, all of that work detoxifying the body is hard on the liver, and it can even cause liver damage. That’s especially true if you have any bad lifestyle habits such as eating a poor diet, drinking too much alcohol, etc. A 2014 trial study found that lemon balm was effective as a liver medication when it came to protecting the organ from the damaging effects caused by toxins. Drinking lemon balm tea as suggested above for treating cold sores can also help improve your digestive health. This is one of the herbs most common uses, and it’s been utilized for this very purpose for centuries. Whether you suffer from indigestion, bloating or gas, lemon balm can help as its essential oils help soothe the gastrointestinal tract. If you have heartburn, add some dried peppermint leaves to the mix for the best results. Many herbs like lemon balm that are high in antioxidants can help balance blood sugar levels. Lemon balm is loaded with antioxidants that keep the body’s cells safe from free radical damage, including eugenol and rosmarinic acid, which support a healthy brain, as well as caffeic acids, ferulic, and quercetin. While there hasn’t been a lot of research conducted to date, a study out of the Free University of Berlin, Germany found that it does appear to promote stable blood sugar and also reduce insulin resistance. Lemon balm is also known to be effective for relieving muscle pain and aches that accompany illness like the flu, thanks to its antispasmodic action that helps decrease muscular spasms, while its eugenol content helps to reduce pain. This same action also helps to relax the body. Lemon balm has long been used for treating skin conditions, and as we mentioned before, it’s great for battling cold sores. But thanks to its antibacterial and anti-inflammatory action, it can also help to calm, soothe and heal the skin, and may be particularly effective for a sunburn as well as acne. Two of its compounds, caffeic acid, and ferulic acid, are believed to penetrate through the top layers into the deeper cutaneous layers of the skin and provide protection against UV radiation-induced skin damage. Lemon balm is also a friend to the bees – it’s a great plant to grow organically in your garden to help restore the bee population. Bees love it, so you’ll attract these beneficial pollinators close to home. Bees are one of the world’s most valuable pollinators, responsible for pollinating 80 percent of the plants on our planet. That means one out of every four bites of food we eat is due to the hard work of bees. Without them, our food supply would be dramatically decreased, and life as we know it, severely altered. With the introduction of stronger and more powerful pesticides, genetically modified crops, and a quickly changing climate, bee colonies are quickly disappearing. Urban beekeeping organization Honeylove reports that after World War II there were five million honeybee colonies, but today there are only about half that many. That’s just another very good reason to do your part by growing lemon balm. Now that you know why having your own lemon balm plants would be so beneficial, you’ll be happy to learn that growing and harvesting it is easy. In fact, as part of the mint family, it also shares mint’s tendency to spread rather quickly, though less aggressively than its relative. While it prefers drier climates, it can be grown in just about any climate. It’s best to plant it in a place that is primarily sunny but also gets some shade during the day. Set plants 20 to 24 inches apart in rich soil after all danger of frost has past. It responds well to cutting and will grow back twice as thick. It’s easy to grow from seed or from a shoot of an existing plant placed in a glass of water, which should be changed daily. Once the plant has started to root, it can be planted in soil. Lemon balm plants prefer moist, well-drained soil, and as you’re likely to be harvesting it continually for the leaves, it needs a little fertilizer too. If you’ll regularly be using the leaves, it’s best to mix fertilizer into the soil every couple of months. You can harvest the leaves and stems at any time after the plant has started growing, although it’s generally best to wait until it has at least a few stems.